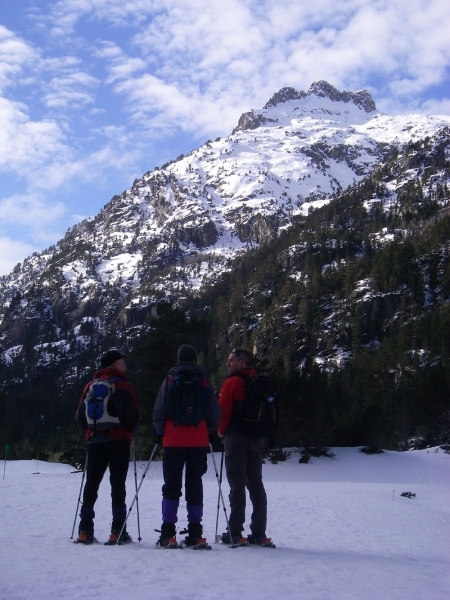 Snow shoeing is a relatively unknown but excellent way of getting out into the wild winter mountains. 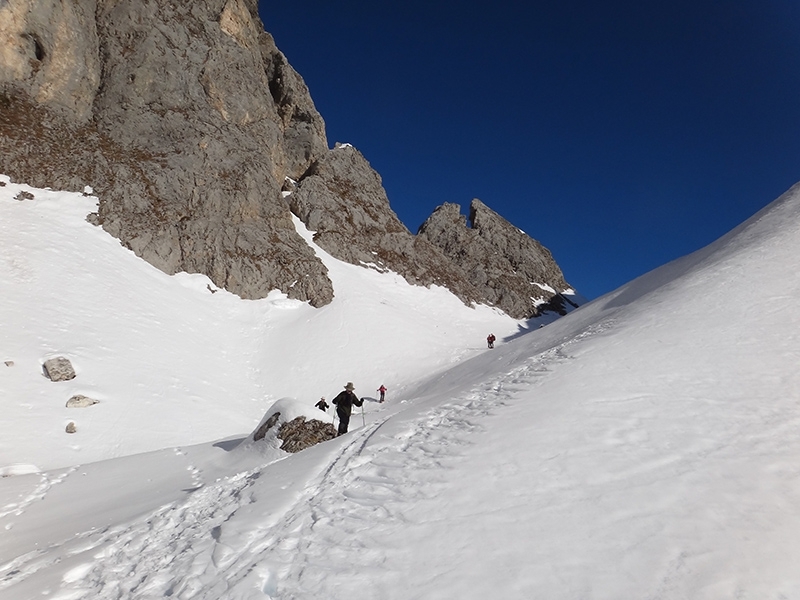 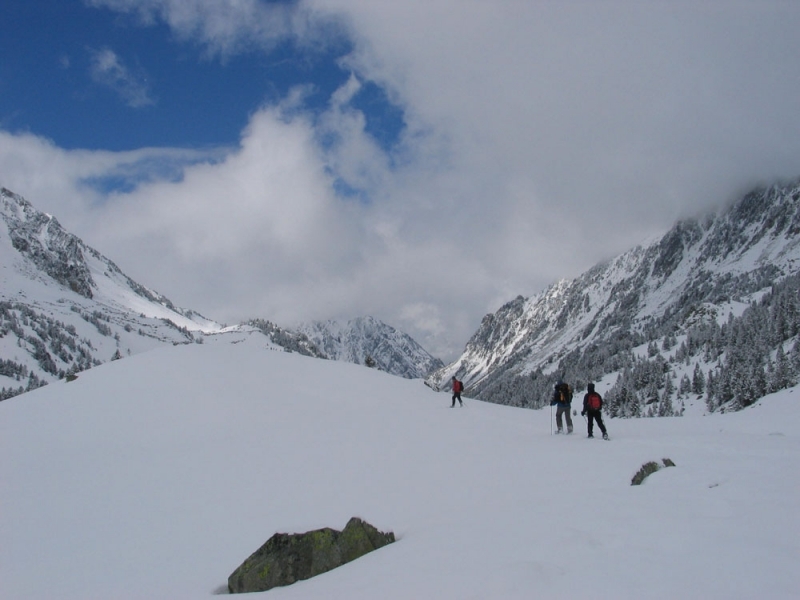 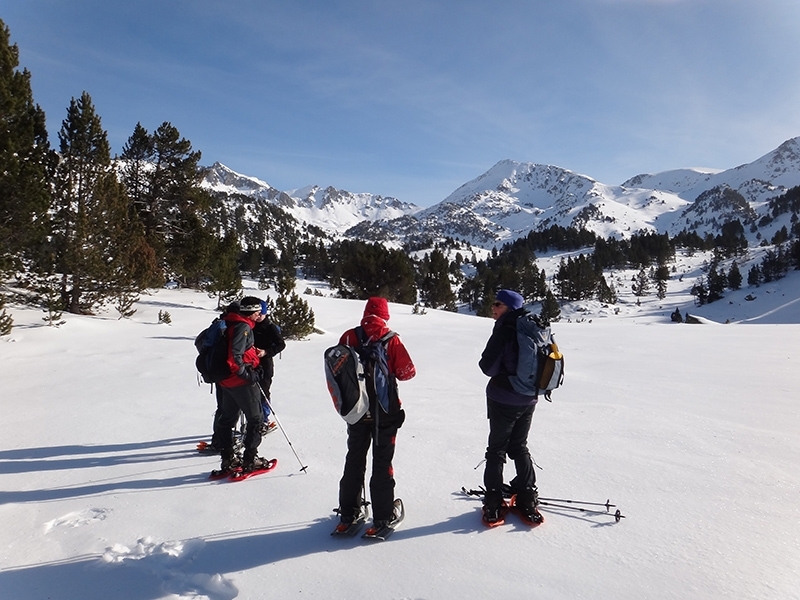 Pyrenees snow shoeing holidays are the perfect way to head into uncluttered and pristine real mountains, away from noisy ski resorts and crowds without the need for skis, and it’s accessible to everyone with very little training required. 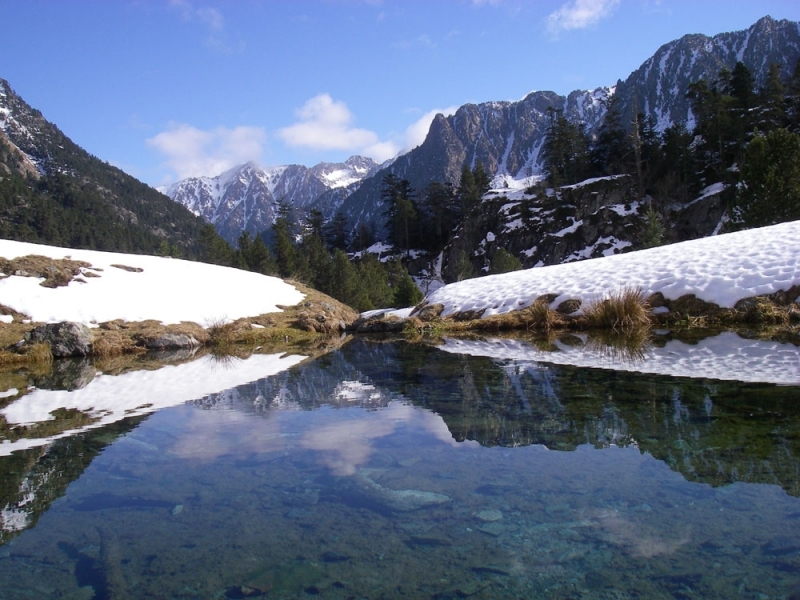 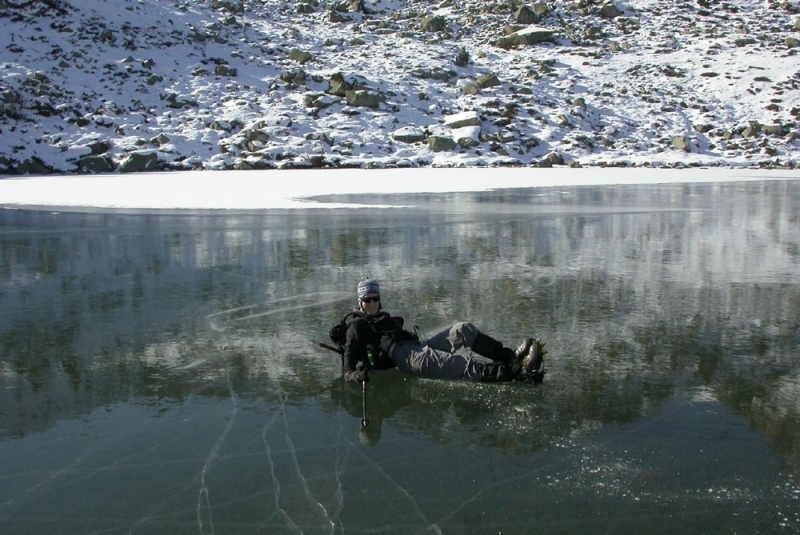 The Barèges valley in the Hautes Pyrenees is scattered with wild valleys, frozen lakes and rolling ridge tops. 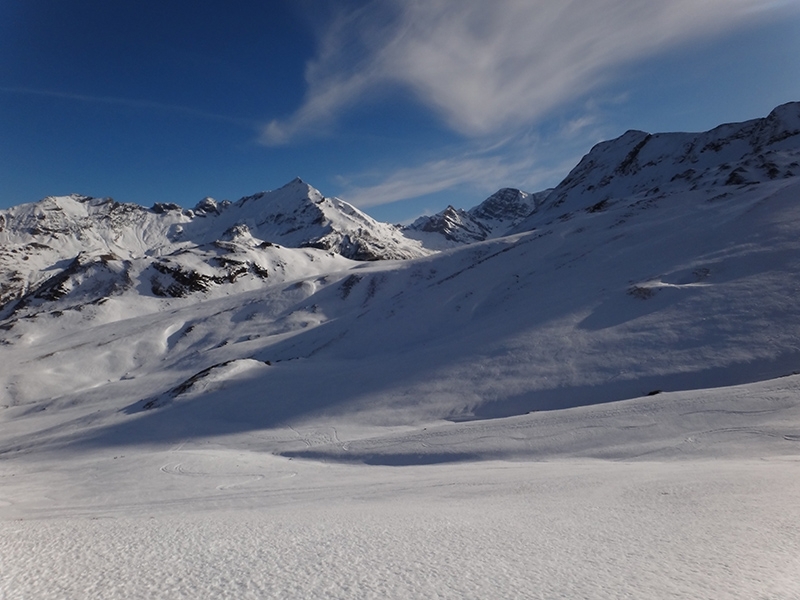 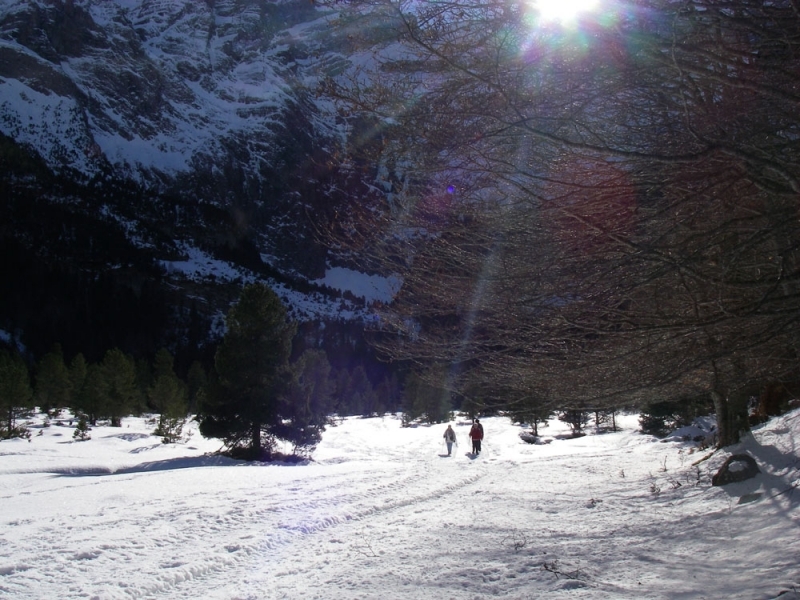 The nearby high ski roads give us easy access to deep snow and the totally unspoilt beautiful local landscape. 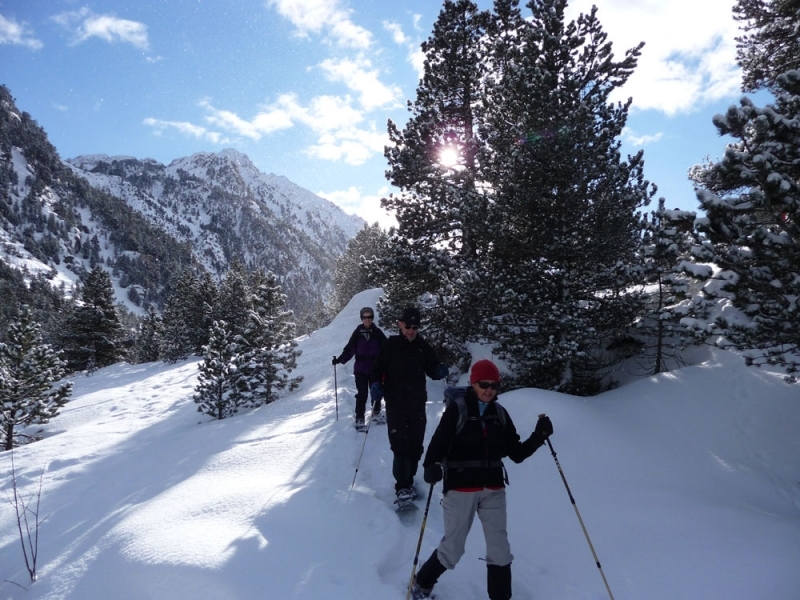 Leave behind the bustle of the ski resort, and step into the peace and tranquility synonymous with the Pyrenees with snow-shoeing holidays for all abilities. 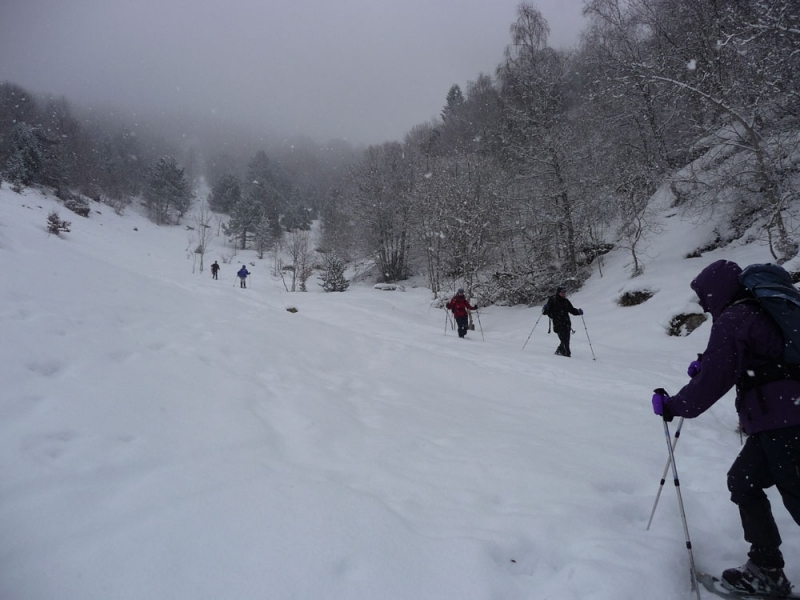 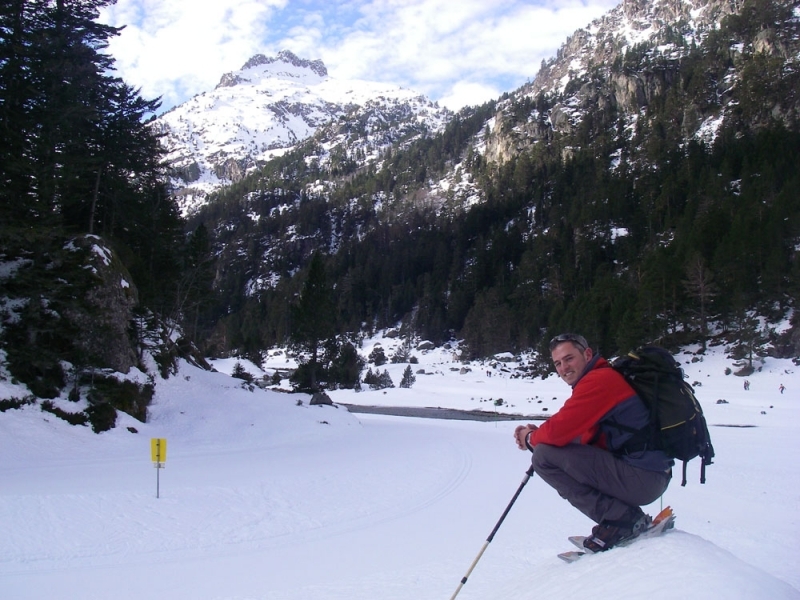 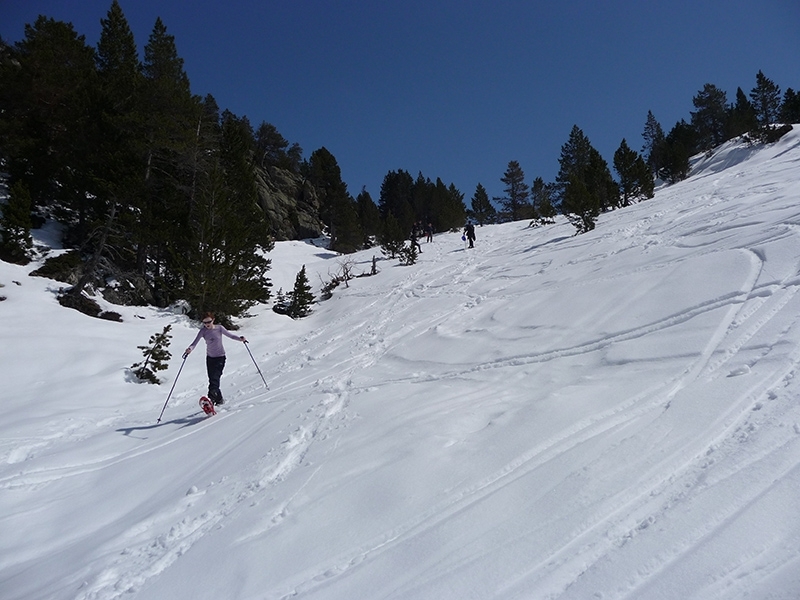 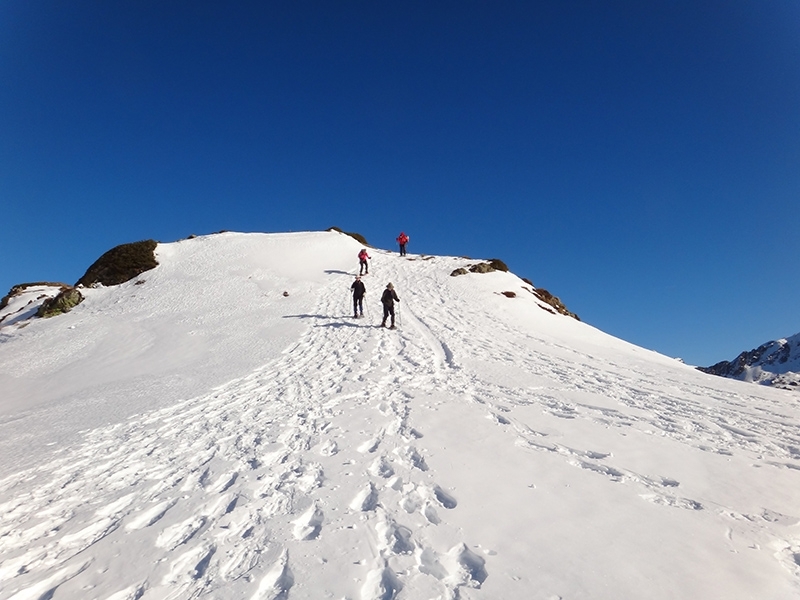 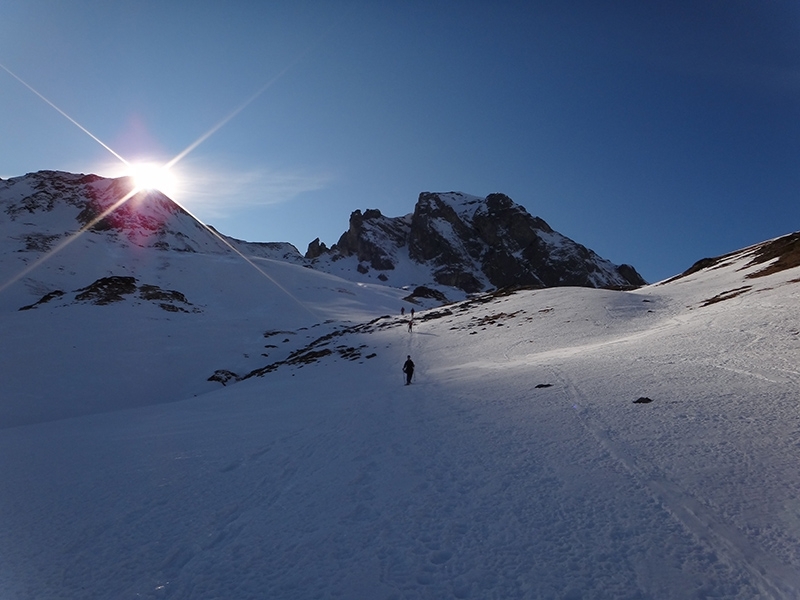 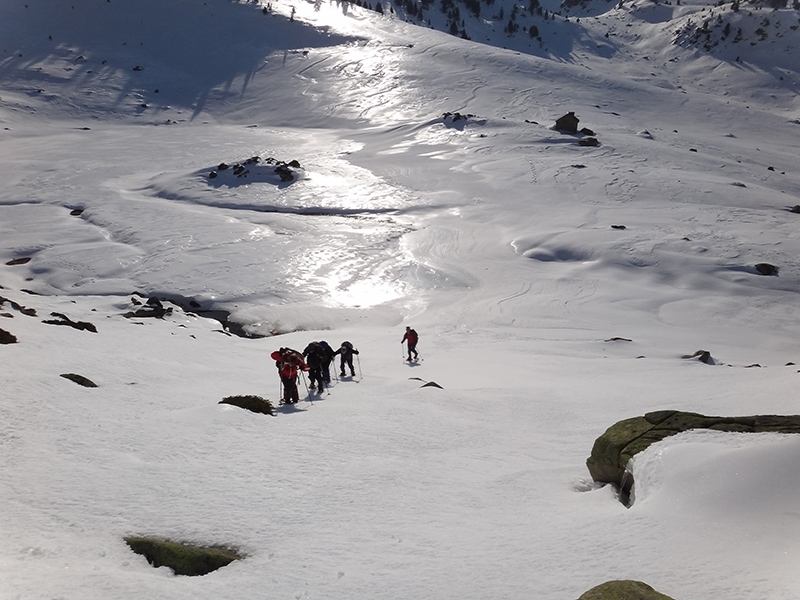 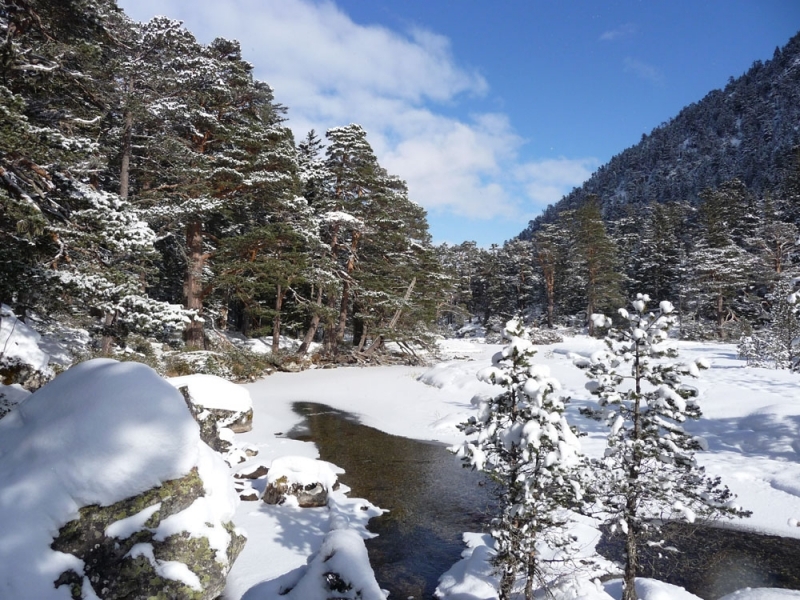 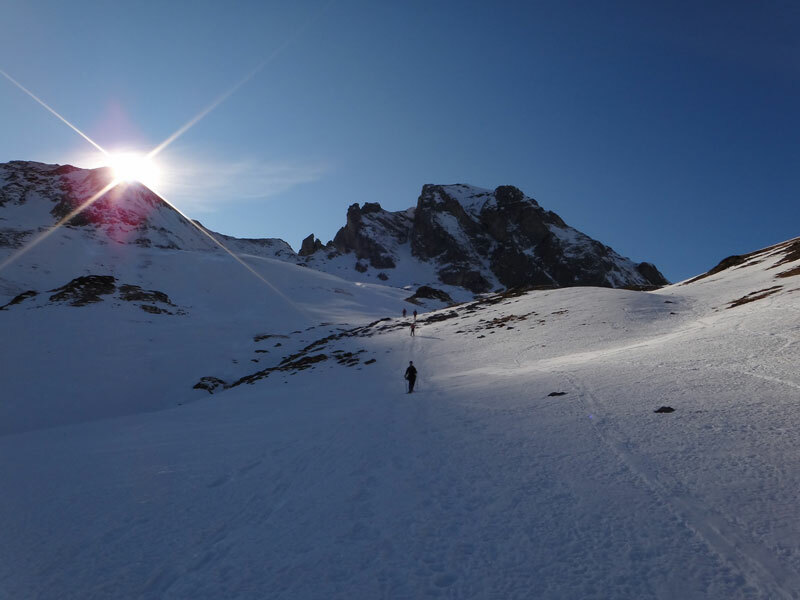 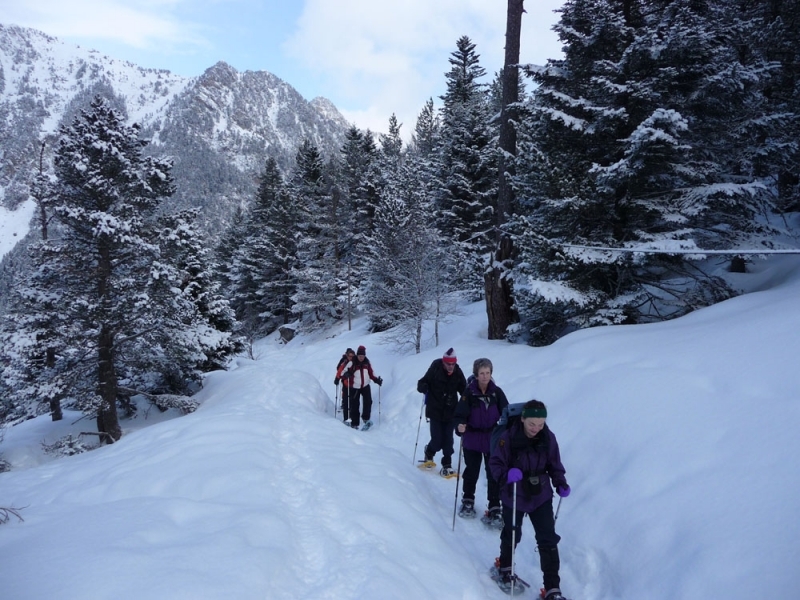 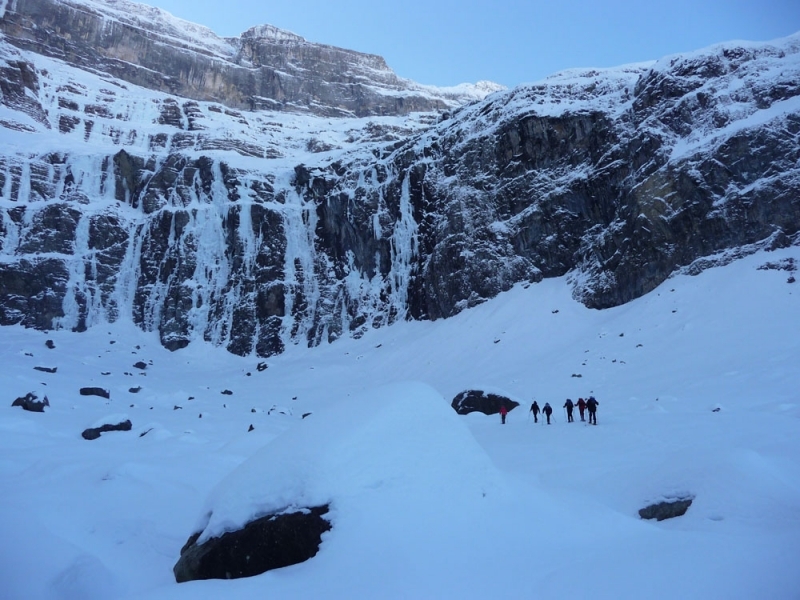 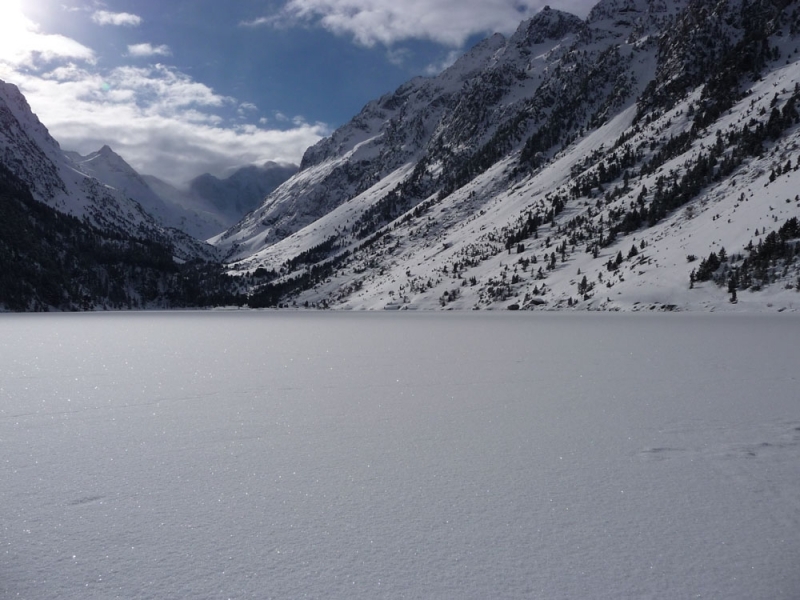 Snowshoeing at Pont d’Espagne in the Pyrenees National Park with a qualified guide. 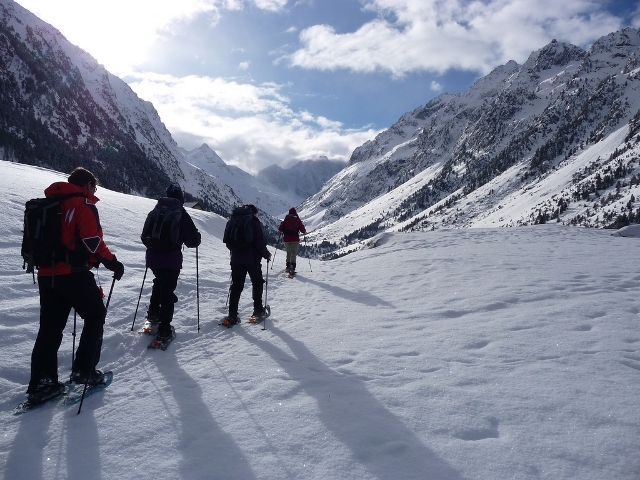 If you are used to mountain walking or hiking and want to experience winter in the mountains without the need to put on skis, then this is for you. 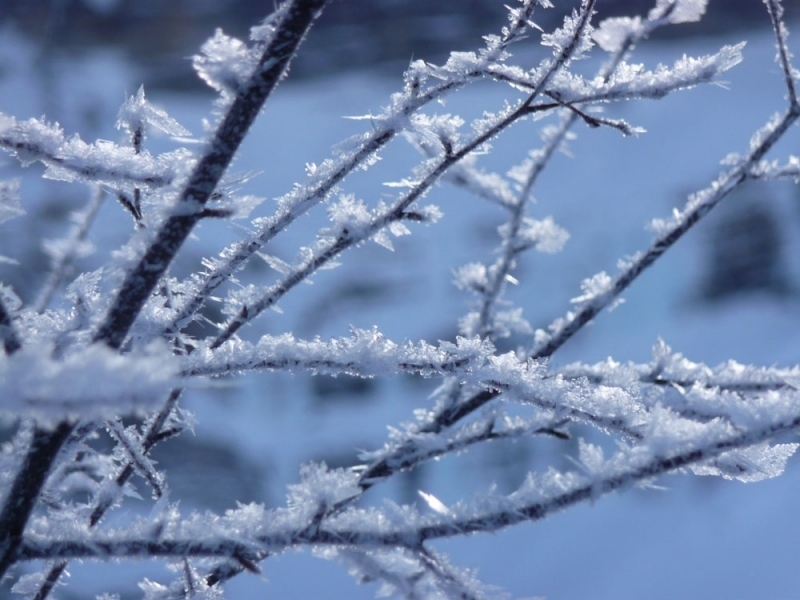 What do we see and do? 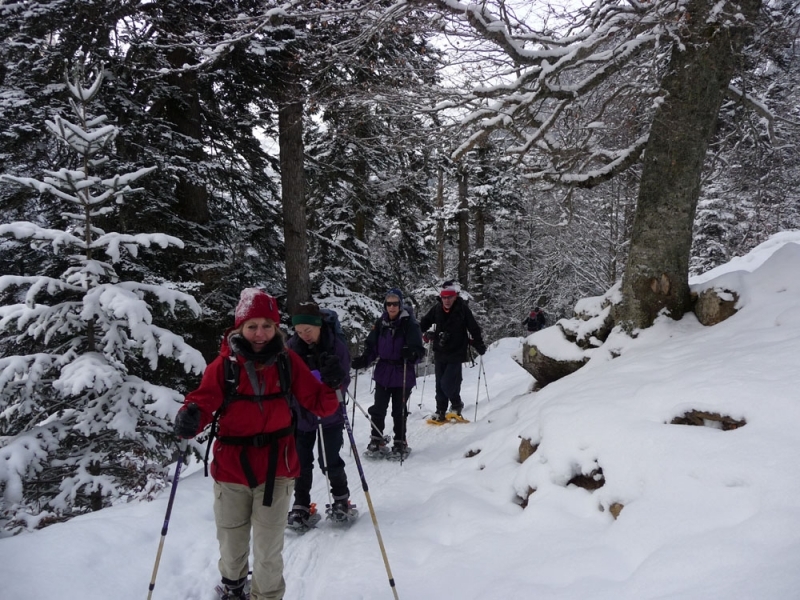 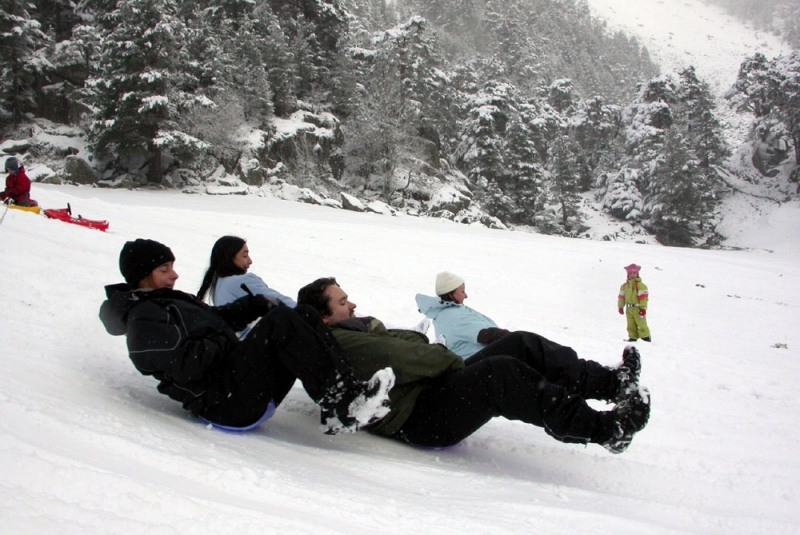 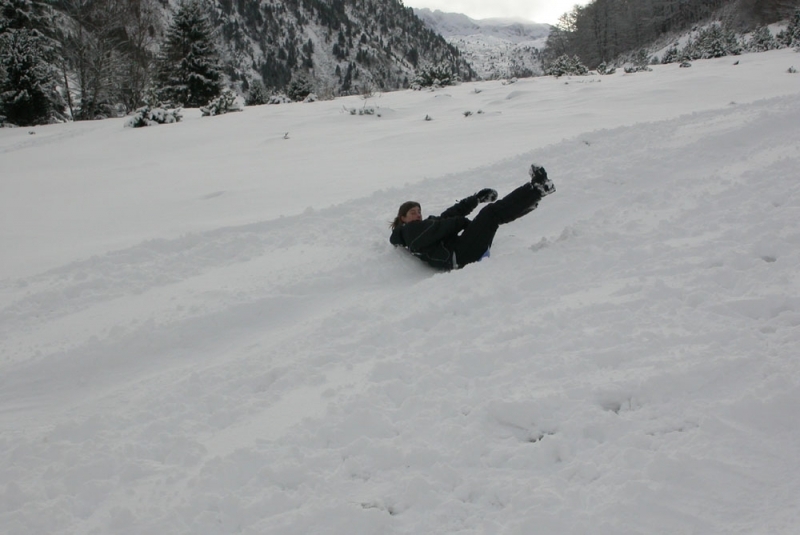 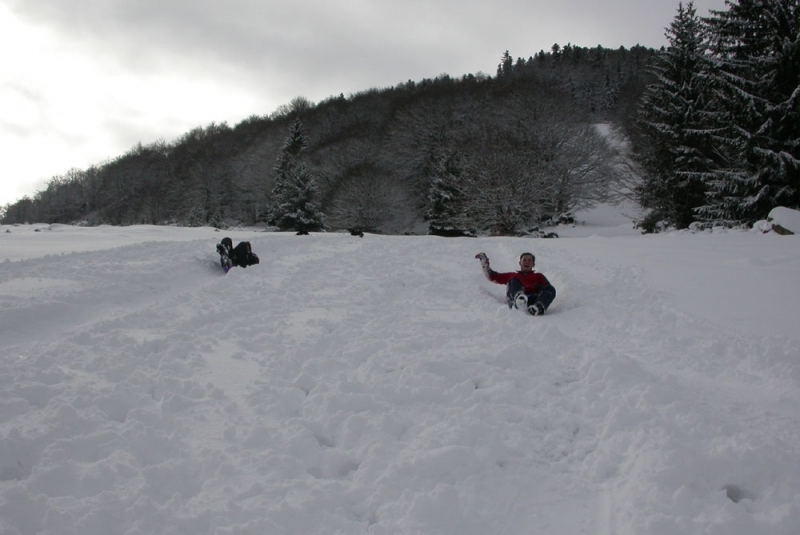 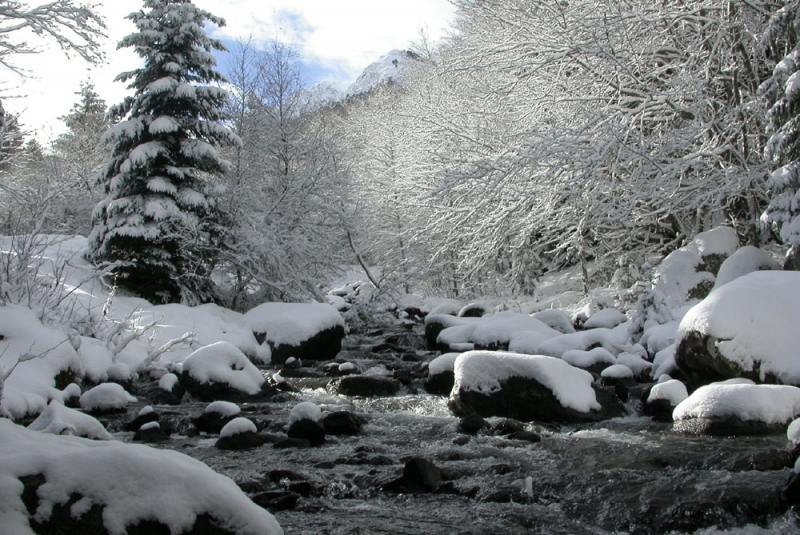 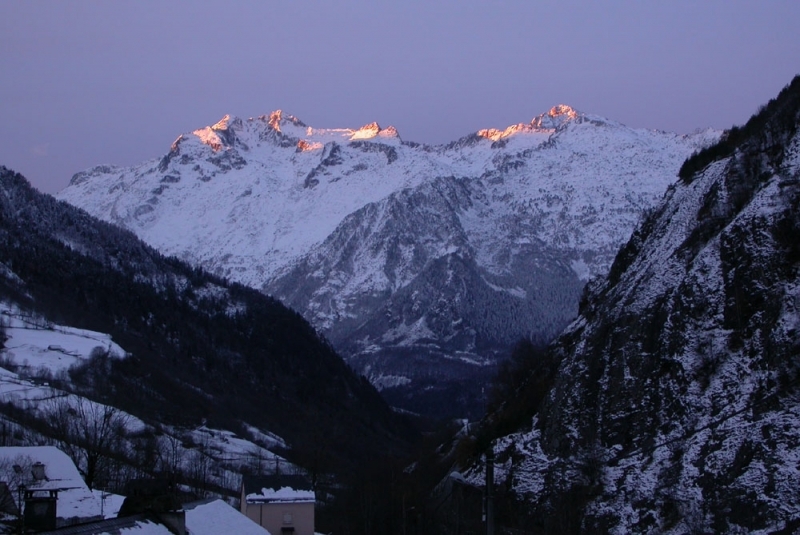 Our snow-shoeing holidays are based from the traditional French mountain village of Barèges. 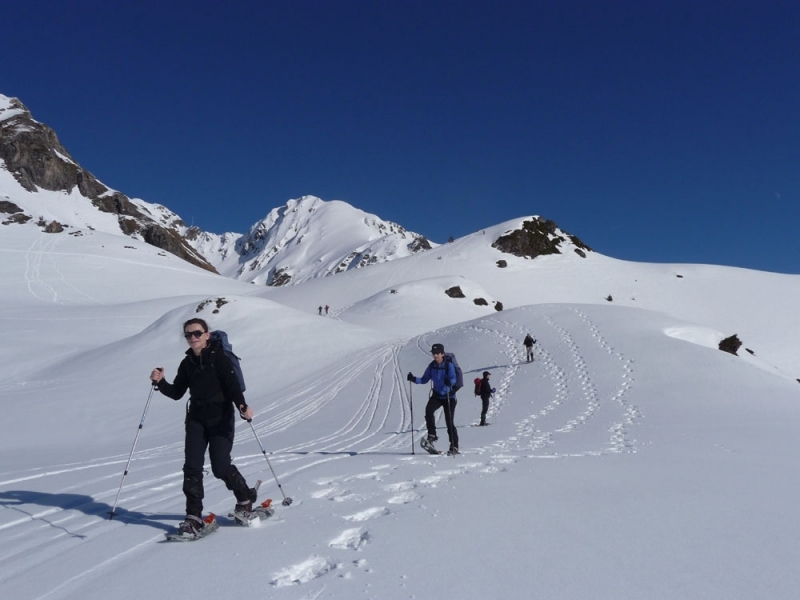 They include 5 days of guided snow-shoeing trips, where we’ll explore a different area each day, so you can experience the great variety of mountainous terrain in the region. 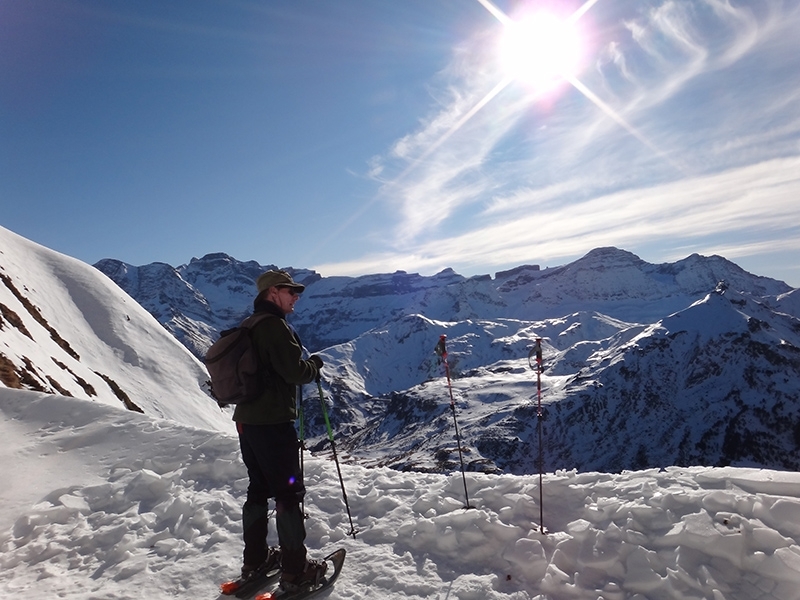 View of the Breche de Roalnd, Gavarnie on a guided snowshoeing holiday. 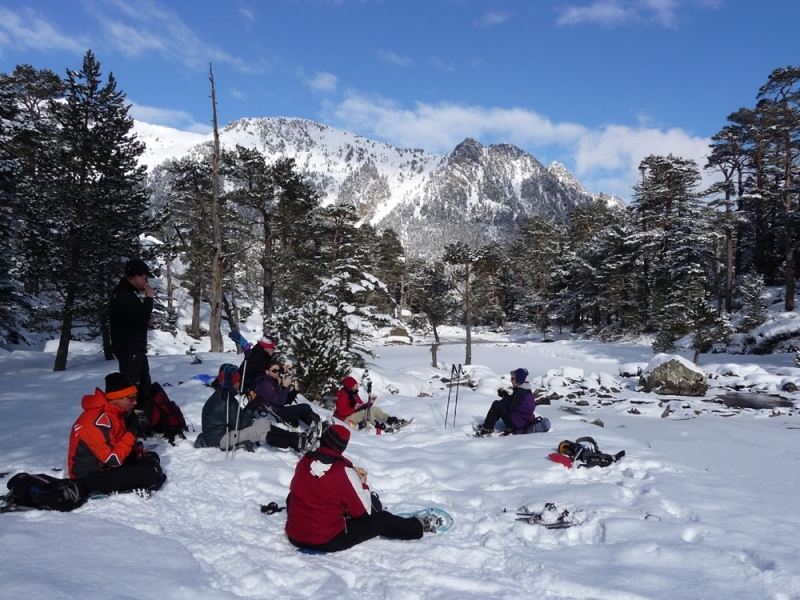 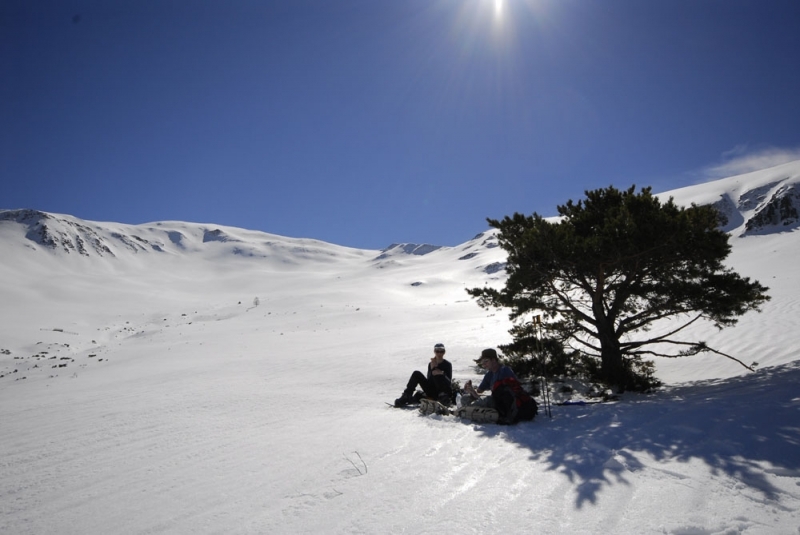 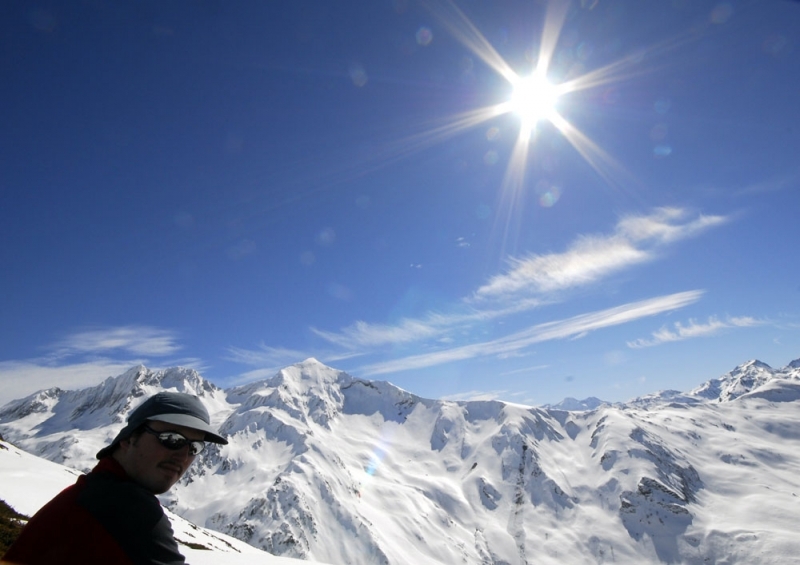 You’ll be snow-shoeing for around 5 to 6 hours a day in the mountains, as well as a lunchbreak. 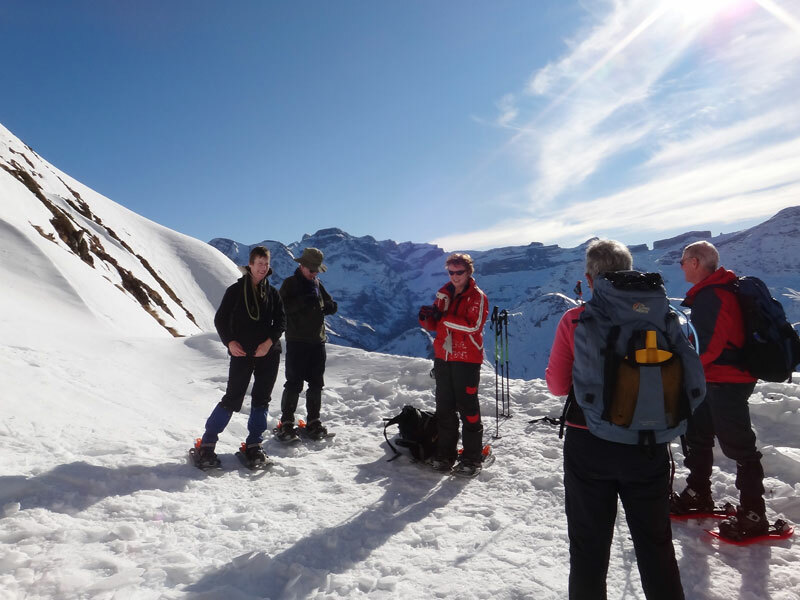 You need to be active and have done some mountain walking or hiking previously, to get the most out of your time here, although if you have a group of 4 or more, we can arrange a bespoke trip to suit your level and ability. 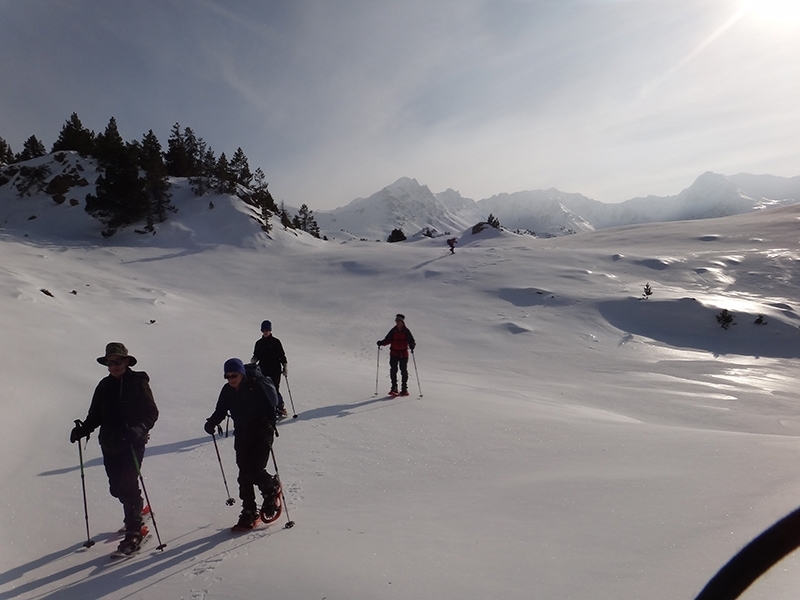 Who leads these snow-shoeing walks? 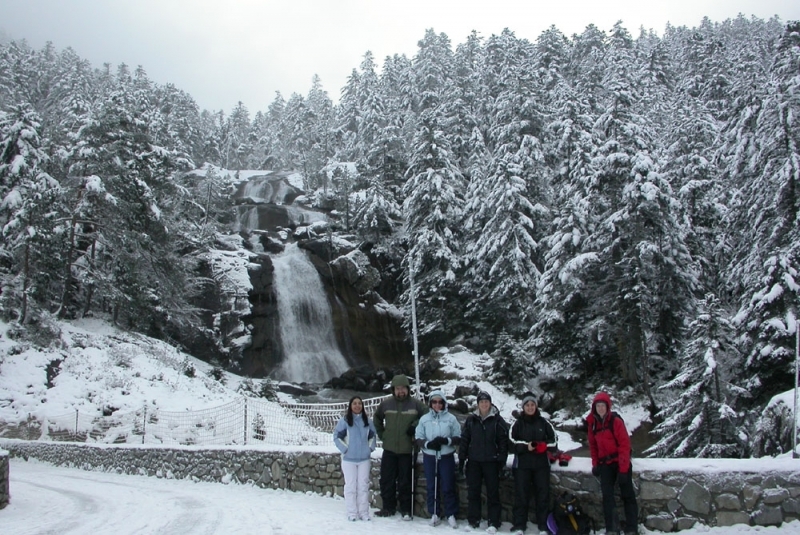 We only use qualified and experienced local guides. 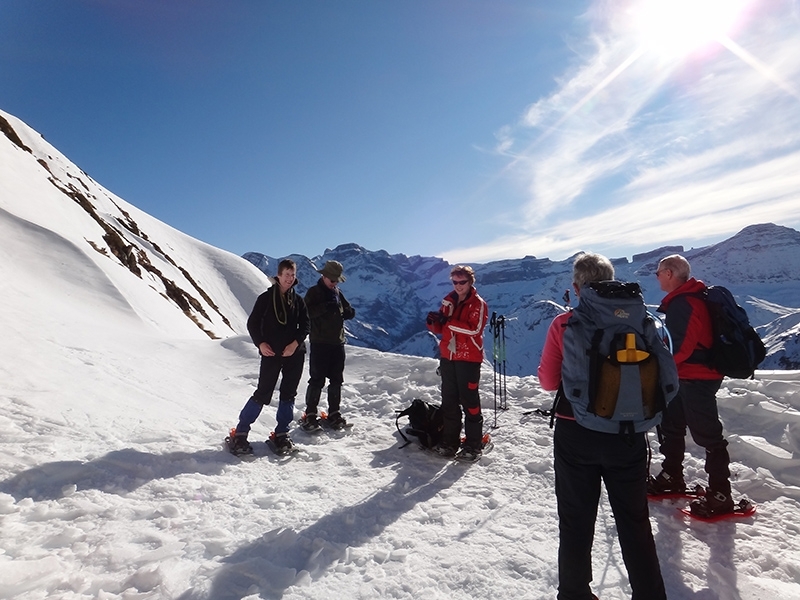 Your guide will give you instruction on snow-shoeing as you snow-shoe (the best way to learn is to do it! 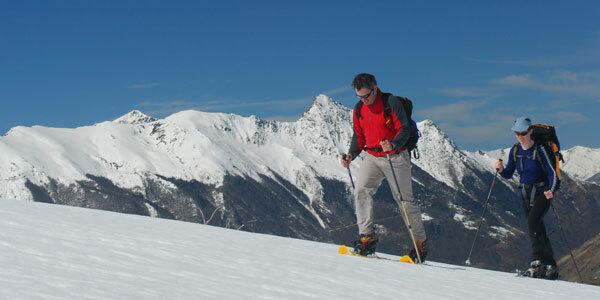 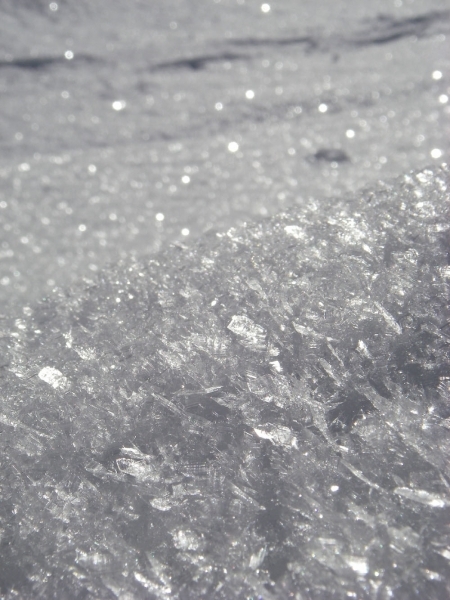 ), as well as teaching you how best to use the snow-shoes and poles. 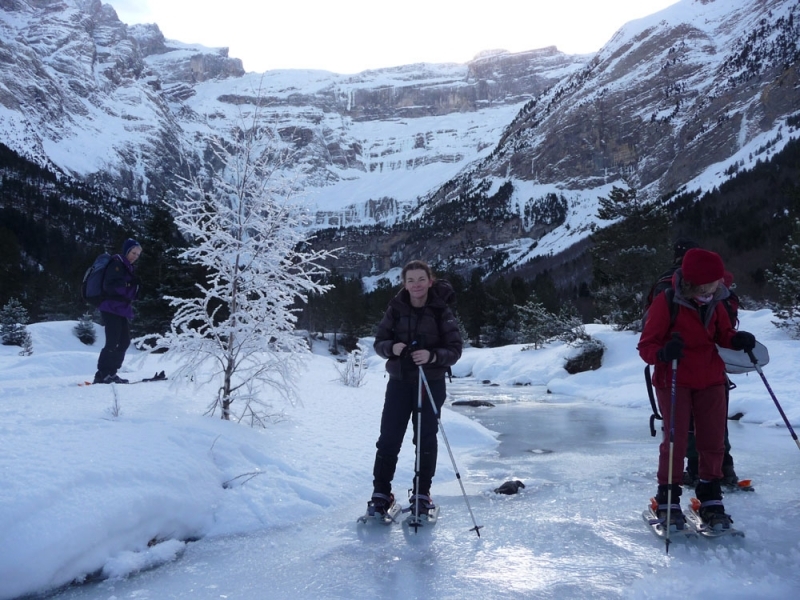 Family Snow Shoeing guided holiday in the spring sunshine. 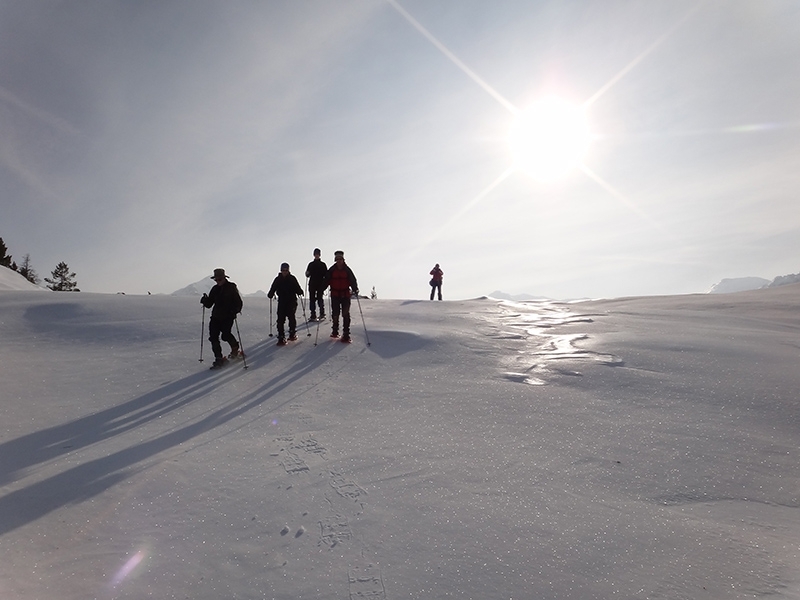 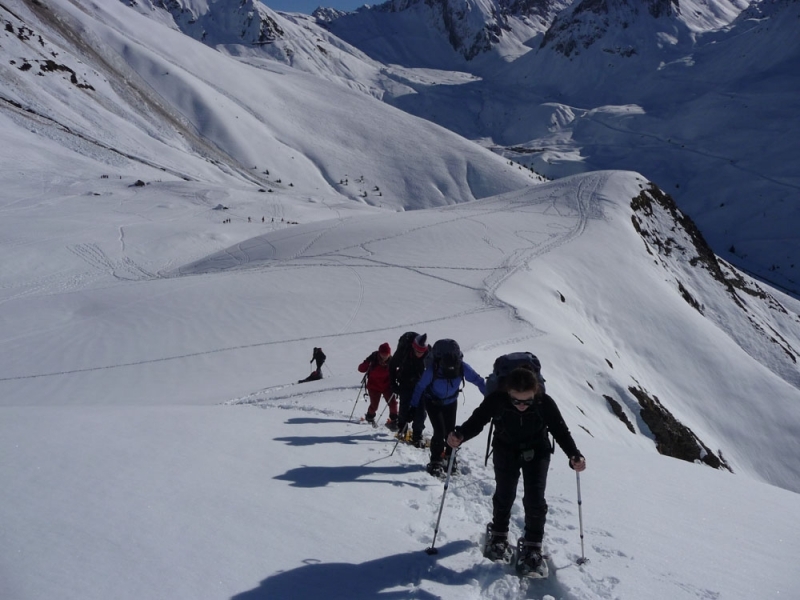 Your guide will also choose routes based on your group’s abilities and preferences, as well on other considerations, just as where the snow is best and where it’s safe to snow-shoe. 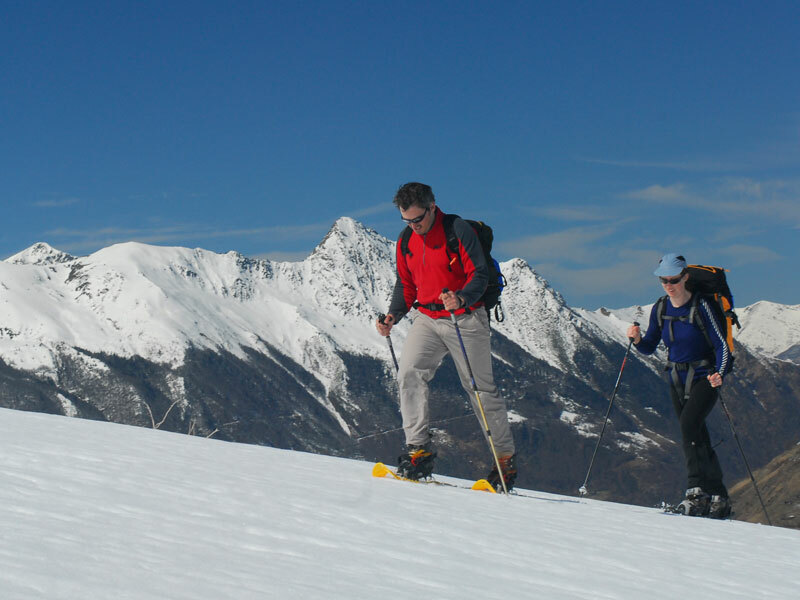 We can also provide accommodation for independent snow-shoeing holidays at our 3-star chalet in the traditional French mountain village of Barèges, which is a perfect base for snow-shoeing. 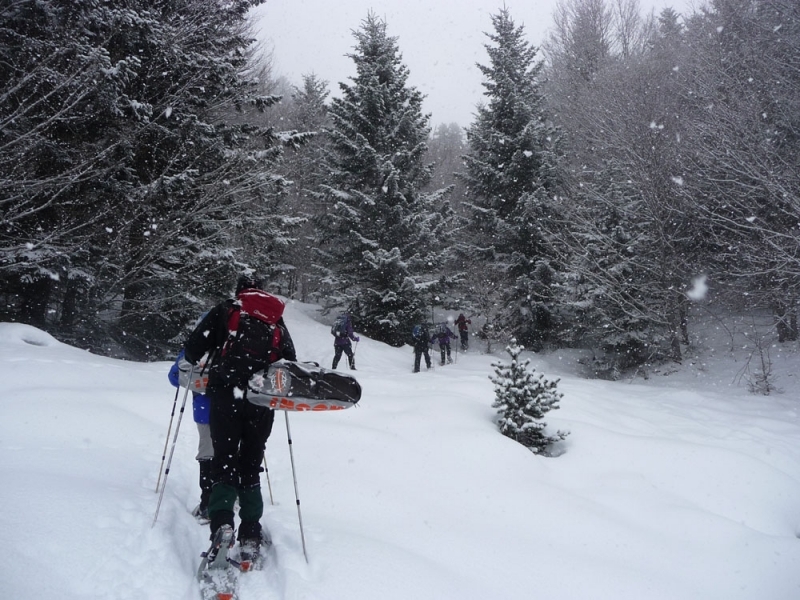 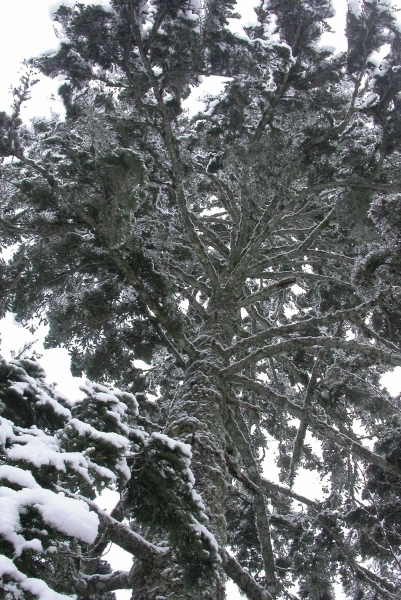 If you are going to snow-shoe on your own, we would recommend you are experienced and have your own transport.